Tales of Vesperia: Definitive Edition is a story rich anime RPG from QLOC, BANDAI NAMCO Studios Inc. A power struggle begins in a civilization dependent on an ancient technology, the blastia, and the Empire that controls it. The fates of two friends traveling separate paths intertwine in an epic adventure that threatens the existence of all. Dive into the Definitive version of this game with updated full HD graphics, brand-new music tracks, exciting mini-games, bosses, and a collection of unreleased costume DLC. Patty Fleur and Flynn Scifo are two new playable characters join the fray. If you get stuck in the game, check out the video walkthrough and gameplay for the game. 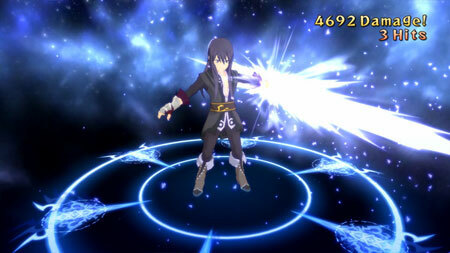 This entry was posted in PC Games, Walkthrough and tagged Tales of Vesperia: Definitive Edition Cheats, Tales of Vesperia: Definitive Edition Gameplay, Tales of Vesperia: Definitive Edition Guide, Tales of Vesperia: Definitive Edition Solutions, Tales of Vesperia: Definitive Edition Strategy, Tales of Vesperia: Definitive Edition Walkthrough by Marvin. Bookmark the permalink.